Long story, we have had the dream and vision to start a Tiny House Community in Shasta Lake for over 3 years now. Because of the Carr Fire there is an immediate need for affordable housing(as if there wasnt already an affordable housing problem!). After a moment of totally losing all hope this week for my own housing situation and then experiencing extreme breakthrough and healing of hope…I am ready to pursue this hard and am moving forward with urgency in my soul. There is a local group gathering individuals wanting to push Tiny Houses. This is so important as I have known for a long time that this project is FAR bigger then myself or Aaron. For the Tiny House Community to become a reality it will require collaboration and contribution from others. I have also recognized there has been a huge amount of people that have wanted to move forward with us in planting this Tiny House Community who are now just missed opportunity because I wasnt ready to invite them in – due to me being far too consumed feeling like I couldnt move forward without our Tiny House Complete. We have made the decision to pull out a personal loan to finish our Tiny House because our current housing situation is coming to a close at an unknown date. Our new planned date of completion is the End of October/Beginning of Nov. 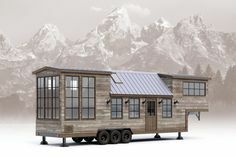 However, I dont want OUR Tiny House being incomplete to keep us from pursuing the Tiny House Community with others that want to move it forward. Especially since this is a crucial time to urge the City of Shasta Lake to invest in this project…either by possibly donating vacant land, helping apply for grants, approving zoning, etc.,! Those that are a part of Shasta Lake want to believe we are a progressive town choosing to be ahead of the curve…this is a time for us to ask them to act out of that. So, I am recommitting myself to blogging – we will be in full blown build mode, all while creating a team of people that want to see this happen…I would love back up when presenting to the city, reaching out to business investors, individuals to seek out and apply for grants, those that want to contribute to construction, those that want to reach out to Tiny House builders/manufacturers to consider donating a Tiny House(to be considered a Contributor to the Carr Fire Relief), those that want to help fund raise, network, or cast vision….all of it. Do you want to contribute or collaborate? Join the group. Do you have questions? Is there a part of this project that you do not understand and would like clarity on? Ask! Thank you for reading, please pin the image above to spread the word!